Android 4.2.1 for HTC One Series in Q2 2013? Currently there is no official statement from HTC for the next Android update for the HTC One Service (HTC One X, HTC One S, HTC One V), but it is very likely that Android version 4.2.1 Jelly Bean will also run on One Series. Samsung is not the fastest company updating their Android Tables and Smartphones. But Samsung Galaxy Note 2 and the Galaxy S3 will be updated during April, May or June. Therefore it can be expacted HTC will be updating their flagship devices also in the 2nd quater of this year. 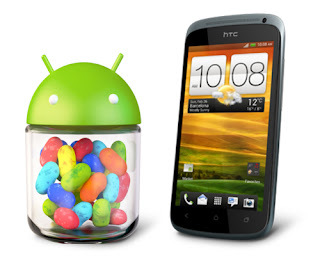 Until mid of the year 2012 it is expected that Google itself will also announce a new major version of Android. Unfortunately you are always one version late if you don't have a Nexus device. 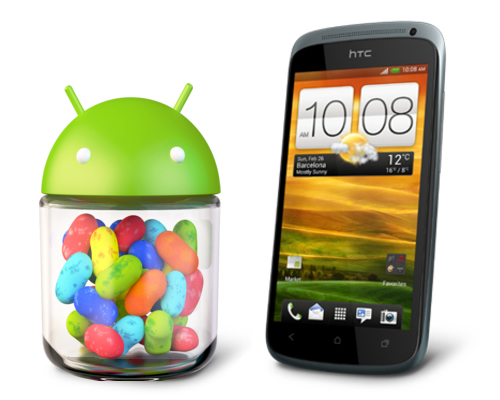 Google was expected to announce Jelly Bean 4.2 at an event in New York City on 29 October 2012, but the event was cancelled due to Hurricane Sandy. Instead of rescheduling the live event, Google announced the new version with a press release, under the slogan "A new flavor of Jelly Bean". The first devices to run Android 4.2 were LG's Nexus 4 and Samsung's Nexus 10, which were released on 13 November 2012.